At a TMF Yom HaShoah program. 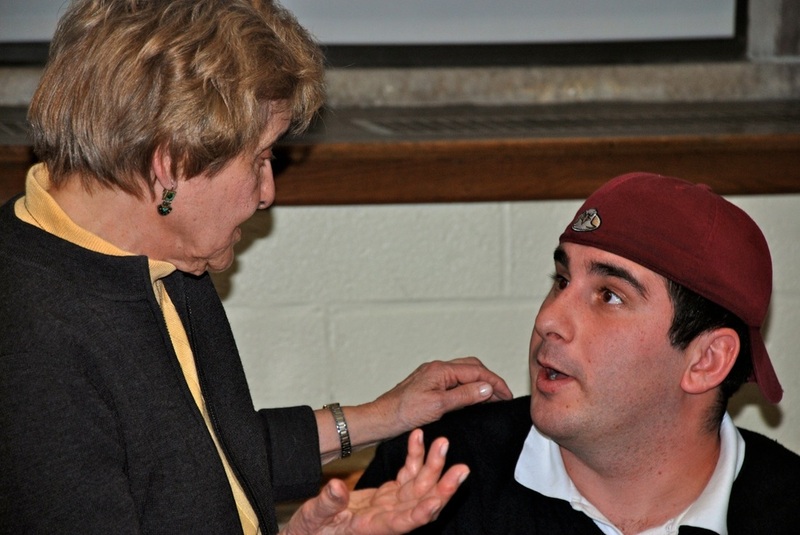 "As a Holocaust survivor, I am deeply concerned with the survival of the memory of this catastrophic event. It is my conviction that survival of any historical event can be assured only when such events become transformed into various forms of art. There are indications that such a transformation is currently in process in all forms of art: in poetry, fiction, films, the visual arts, dance and music. "In 1944, when the German Army occupied Hungary, my two brothers were taken into Forced Labor Camps, where they perished. My father and extended family were killed in Auschwitz upon arrival there in June 1944. My mother and I survived Auschwitz and several labor camps and returned to Hungary in July 1945, where I finished high school and my mother took a job directing a home for Jewish children whose parents did not return. 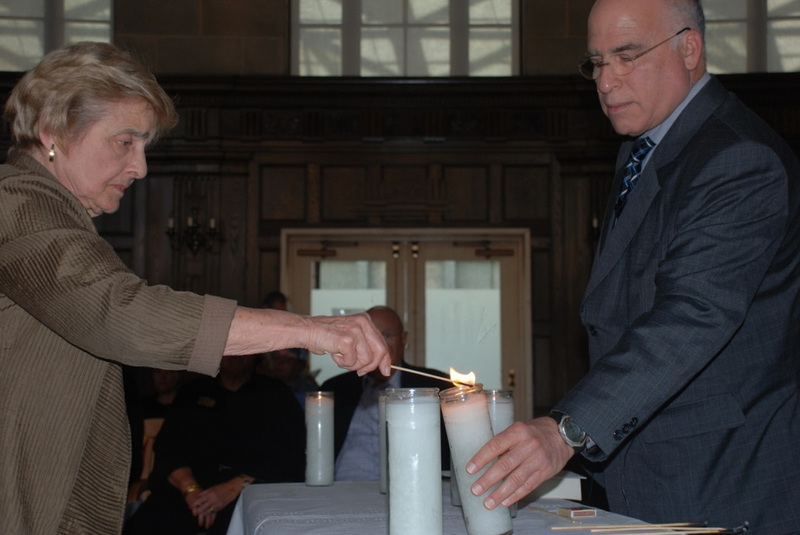 I married Paul H. Ornstein, another survivor of the Shoah, in March 1946. Shortly after our wedding, we escaped from Russian occupied Hungary into West Germany. Realizing that immigration either to Palestine or to the USA would take several years, we enrolled in the Medical School in Heidelberg, where I graduated in 1952. 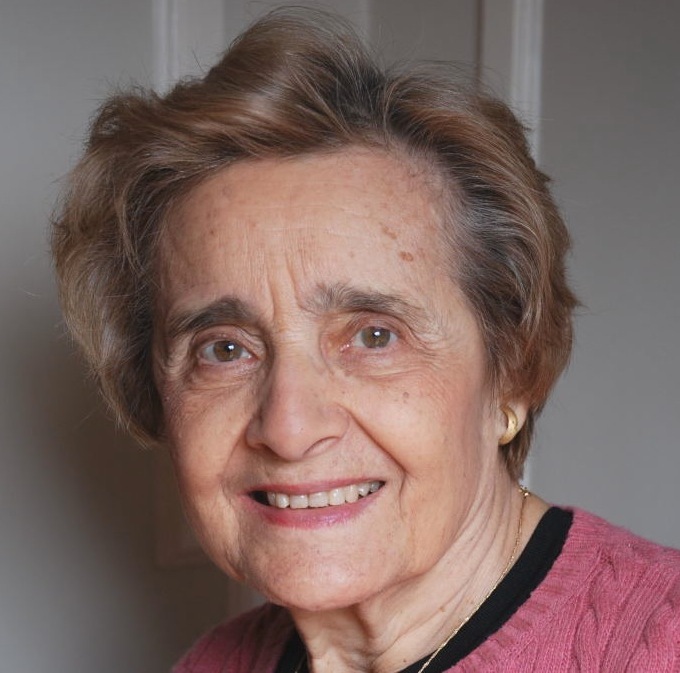 "My most rewarding experiences are related to the many discussion groups I conduct in schools and other settings and the many projects and Ph.D. theses I had the privilege to supervise over the years that had dealt with the Holocaust. I also have several scientific publications on the topic of survival and recovery from extreme conditions. Anna is author of the book My Mother's Eyes, a collection of stories about her camp experiences.